It is an area with all the necessary economic activity. The mines are here and so are a number of tertiary industries that depend on mining. It has two major mining companies and a smelter, all employing hundreds of workers. This aside, Chambishi is also a multi facility economic zone which has seen millions of dollars being pumped in by the Chinese. Going by seize and population, Chambishi has all the markings of a district. The area has a population of over 51,000 and even has a sub-boma. But it has always had to play second fiddle to Kalulushi. For years, this area with all its economic promise has been an annex of Kalulushi District. No wonder people here want this industrious Township to stand on its own as a district. “We have been crying for a district since 1991. President Frederick Chiluba almost gave us in 1991. The following presidents didn’t. Last year when President Lungu came to campaign, he promised that this year he will do it, we are waiting positively,” said Elvis Mwansa, a Chambeshi resident and historian. The fight for a district status has been a silent one here. In 1996, the then ruling party MMD decided to create district party structures in Chambishi separate from Kalulushi as a way of realising the district status. 20 years down the line, that status has not been met and almost all political parties have district structures in Chambishi. Ernest Mwakaya has been involved in the push for a district in the area. While a party official in MMD in 1996, he remembers how the area was almost upgraded. “Some years back, President Chiluba called for a meeting over Chambishi. He was locked up in a meeting with officials for 45 minutes. We all agreed to be a district. But that never came to pass. Today we are hoping President Lungu will help us,” said Mr Mwakaya who is now the ruling party’s Chambishi District Chairman. Even civic leaders in the area know how anxious people are in the area for a district. “We are waiting for our district. We have big mines here, milling plants, roads, a smelter and all the features of a district,” said Febby Mulenga, the newly re-elected Councillor for Lulamba ward. ACM Limited, a local company has invested US$3 million to set up a milling plant which is expected to create 200 direct jobs for Chambishi residents. According to the owners, the facility will have the capacity to produce five hundred bags of Millie meal per hour. Indeed, Chambishi deserves to be a district though most people’s worry is that if its detached, Kalulushi will suffer economically as it only relies on Chibuluma mine. President Edgar Lungu has been sworn in for a full five year term following the dismissal of several opposition election petitions which were aimed at stopping him from taking office. This follows his victory in the August 11 general elections. Last year in January, Mr Lungu was elected to serve the remaining term for his predecessor Michael Sata who died in London in October 2014 after an illness. 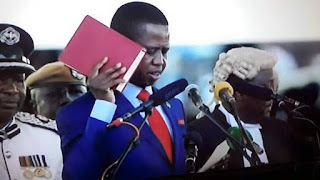 President Lungu took his oath of office before Chief Justice Ireen Mambilima at exactly 11:00 and his running mate Inonge Wina also took her oath as Vice President 4 minutes later. 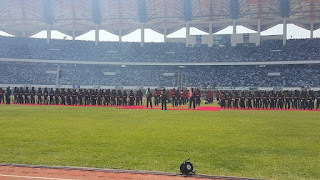 Zimbabwean President Robert Mugabe, his Botswana counterpart Ian Khama and Vice Presidents from Malawi, Tanzania and Kenya were part of the international dignitaries who attended the inauguration which took place at the fully packed 60,000 capacity National Heroes Stadium in Lusaka. Several opposition leaders among them FDD’s Edith Nawakwi, Fourth Revolution leader Eric Chanda and Elias Chipimo of NAREP attended the event. 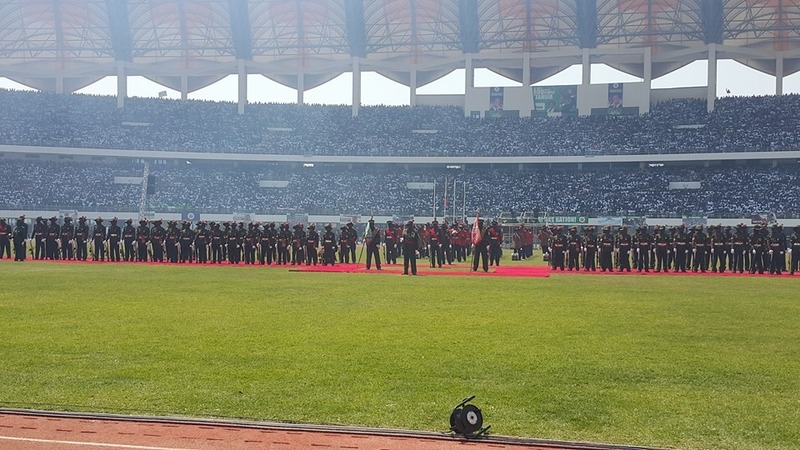 After being sworn in, President Lungu gave a 43 minute speech on a wide range of issues. Its central theme was the need for unity, peace and development in the next five years. In his speech, President Lungu said Zambia needs to improve his manufacturing sector. He further declared Kafue town, an iron and steel economic free zone. This means that investors in this sector can now set up plants in the riverside town and exploit its huge potential. 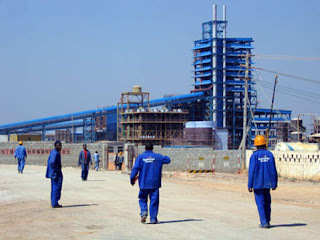 Kafue hosts the country’s largest steel plant which is owned by Trade Kings, a holding company for several subsidiary companies involved in several businesses. The largely agricultural district also has a fertiliser manufacturing plant run by government. President Lungu thanked a number of opposition parties like the MMD and Christian Democratic Party which went into an alliance with the ruling Patriotic Front during the campaigns. “There are no winners or losers at the moment. Zambians are the winners…….. No group of people will hold me ransom to serve their interests,” said President Lungu. He said he will not disappoint all those who supported him and he will work hard to leave Zambia a better place than he found it. President Lungu also paid glowing tribute to other opposition parties that contested against him. He said they fought a good battle and he had nothing against them. President Lungu also announced that he would visit all areas including Dundumwezi Constituency in Kalomo were he got 252 votes against 30,000 votes which UPND’s Hakainde Hichilema got. President Lungu announced that in the next five years, Zambia would invest in nuclear technology to boost its capacity to produce power. With the current energy crisis which has been characterised by loadshedding, President Lungu hopes nuclear energy is the answer. 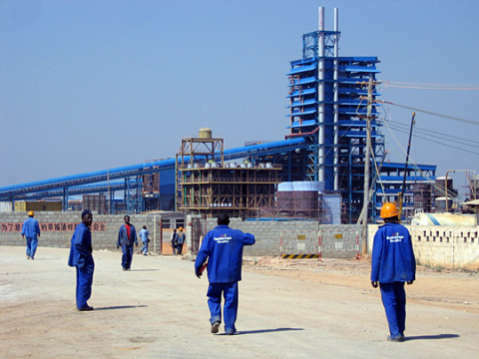 Zambia has huge deposits of uranium, a mineral which is used to produce nuclear energy. Currently, the country heavily relies on hydro power whose equipment were installed over 50 years ago and are in desperate need of re-investment. With the reports of people’s houses burnt and some displaced following the announcement of the election results last month, President Lungu has announced a commission of inquiry. He says the inquiry will help the country learn lessons from what transpired. “We cannot look away when such things happen. Violence will not be tolerated,” he said. This year, Zambia has recorded hundreds of deaths on the road and operating licences for some bus companies were even suspended. In his inaugural speech, President Lungu vowed to use technology to protect travelers and reduce road accidents. Earlier this year, the Road Transport and Safety Agency announced plans to pilot the use of Global Positioning System to detect over speeding buses especially on the Great North Road which annually claims hundreds of lives. Zimbabwean President Robert Mugabe, who had a thunderous welcome at the stadium, spoke on behalf of other international leaders who graced the event. 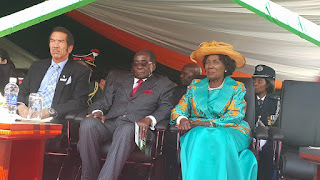 President Mugabe’s speech was punctuated by cheers from the crowd, the same way Zambians did two years ago when he spoke at the same venue during the country’s Jubilee celebrations in October 2014 when President Lungu was acting President. In his unscripted speech, President Mugabe paid glowing tribute to Zambia for its historical role in the liberation struggle. The veteran Zimbabwean leader added that organisations which were trying to violently take over power must not be tolerated in a democratic country. 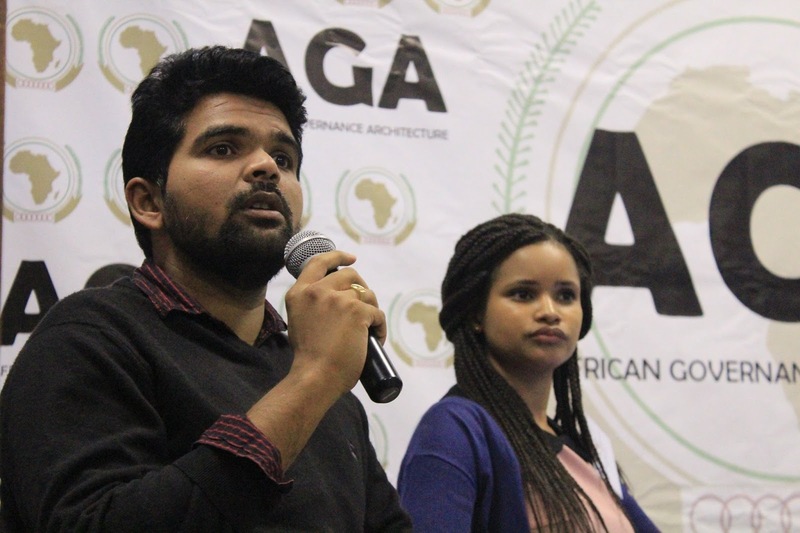 Youths from across Southern Africa have called for the respect of minorities in society such as homosexuals, saying they deserve respect because they are also human beings. According to recommendations made at the just ended two day African Union Regional Youth Consultation on Human Rights with focus on Youths and Women, the youths called for the respect of all people’s rights irrespective of their economic status, sexual orientation or religious affiliation. “As a group, we feel that society must recognise the existence of minorities such as homosexuals. We also need a common goal on how these people can be fully integrated into society,” said Roopanand Mahadew from Mauritius, who read the resolutions from the group on Inclusion, Diversity and Popular Participation which discussed various issues and made recommendations to the African Union. The group also recommended that there was need for massive advocacy on the issue of sexual minorities to avoid the continued stigma and hate against the Lesbian, Gay, Bisexual and Transsexual (LGBT) community. The youths called on the civil society to champion a campaign to raise awareness of sexual minorities so that they can also enjoy their rights. 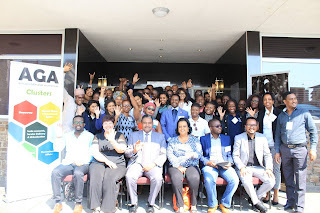 20 youths from all southern African countries met in Windhoek on Thursday and Friday to come up with recommendations for the African Union 10 Year Human Rights Strategy which would feed into the Agenda 2063, an ambitious road map to Africa’s development which the continental body is pushing. In other groups, youths recommended that there was need for improved environmental governance in Africa to protect people from environmental disasters and effects of climate change. The youths also recommended that AU member countries must promote the establishment of Youth Think Tanks to champion the interests of young people. They further said there was need for the African Union to establish a Youth Division at its Addis Ababa headquarters so that issues pertaining to young people are ably handled by a specialised office. “There is need for affirmative action on gender equality. Member states should also harmonise the disparities between customary and statutory laws so that women can be protected,” said Nsovo Mayimele, a youth from South Africa who read the resolutions from the group which discussed Women’s Rights. Under Project 2016, the African Union is holding four regional consultations for youths in Southern, Eastern, Western and Northern Africa before it can consolidate its 10 Year Human Rights Strategy. According to the objectives set by the continental body, the consultations are expected to help in the establishing of learning platforms and networks as an ongoing knowledge sharing and peer mentoring platform for promoting human rights in Africa. Since the election of Members of Parliament, Mayors, Council Chairpersons and Councillors two weeks ago, this blogger is profiling a number of youths and females with unique attributes who were elected to lead for the next five years. 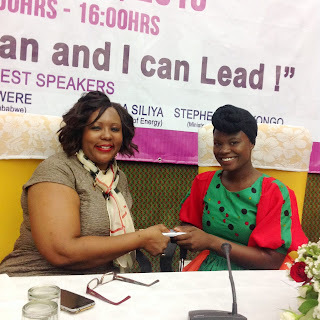 A week ago, this blog profiled newly elected Patriotic Front Kalulushi Member of Parliament Kampamba Mulenga who is the only female among the 22 newly elected lawmakers on the Copperbelt. 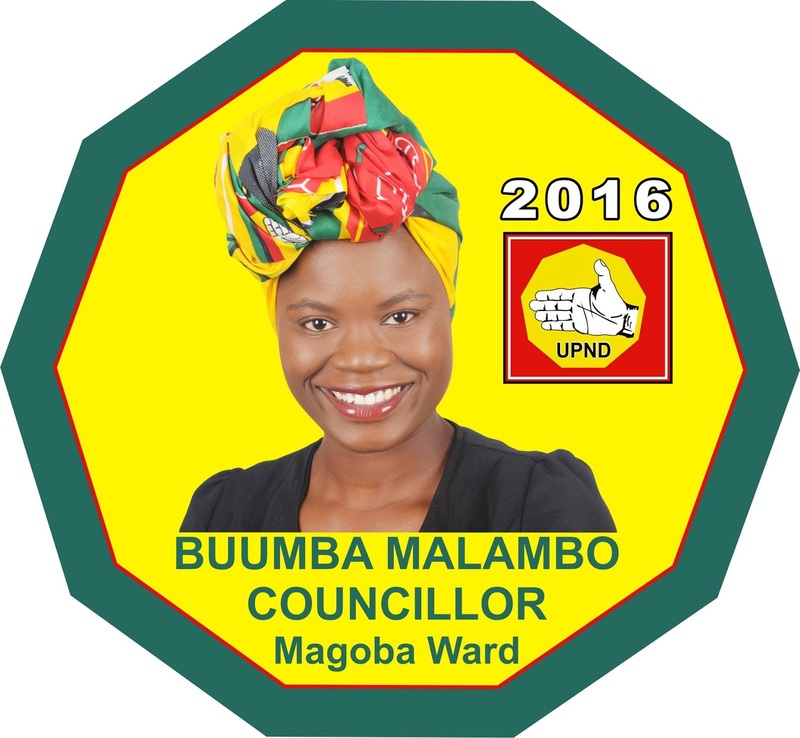 Today, this blogger is profiling newly elected Magoba Ward Councillor Buumba Malambo, an award winning social worker and women’s rights activist. 25 year old Buumba was elected on the UPND ticket and is the only female among the 16 Councillors in Kafue District. Buumba was born on June 10, 1991 and she grew up in the mining town of Mufulira on the Copperbelt. She went to various schools in the town and later enrolled at the University of Zambia where she obtained a Bachelors Degree in Social work in 2014. She has also acquired other education qualifications in the UK and the USA. A staunch Seventh-Day Adventist who has taken leadership positions in the Youth Department over the years, Buumba still considers herself a committed Christian. Buumba says she started charity work at the tender age of 15 and she has not looked back at giving back to the community. “At the age of 15 i was already involved in charity work with the Judith Chikonde Foundation and participated in the maize distribution project where I was donating maize meal to the people of Mupambe village during the typhoid outbreak in 2007. I was even appointed Mufulira Youth Secretary by the then Mufulira Town Clerk from 2008 to 2010” said Buumba in an online interview. When she was studying for her degree in social work, Buumba chose to do her rural experience in Magoba ward of Kafue, an area which any student would refuse to live in. “I chose Magoba because I wanted to meet real people. I wanted to learn their way of life,” said Buumba in one of her Facebook statuses. And this is how she developed interest in Magoba to an extent were she would set up an organisation to help the women and children and later stand for elections as a Councillor. She says her work in the community does not just involve local people only but government as well. “Am the youngest serving member of the Ministry of Gender and Child National Co-ordinating Committee. Over the years, I have worked with the Ministry of Gender and Child Development to organise events related to children such as the International Day of the Girl Child, Day of the African Child, Children Rights Day and Child Labour Day. 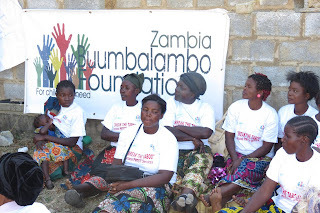 According to details on her Facebook page, Buumbalambo Foundation is registered both in Zambia and Britain and has enrolled 435 children on its sponsorship programme since she launched the project in March 2015. 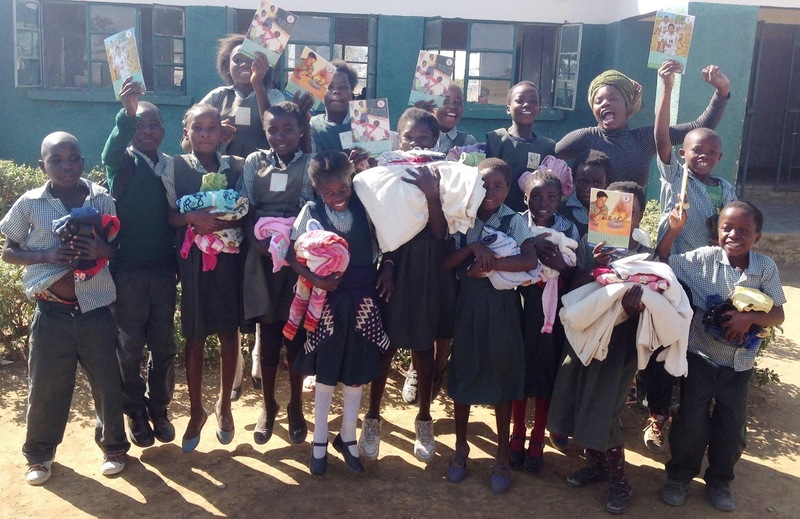 Through her charity, she has collected over 15,000 clothes, toys and shoes from the University of Zambia, colleges, individuals and Radio Phoenix Helpline project which she put in her charity shop and donated to the needy. Some donations have also come from places like the United Kingdom, Australia and some South American countries. In early 2016, Buumba was selected by the US State Department to be among 42 young Zambian young leaders to take part in the 2016 Mandela Washington Fellowship, a six weeks training in professional courses at various American universities. The fellowship is championed by President Barack Obama under his Young African Leaders Initiative (YALI), which brings 1,000 young African leaders annually to the US to study Business and Entrepreneurship, Civic Engagement, Energy and Public Management. 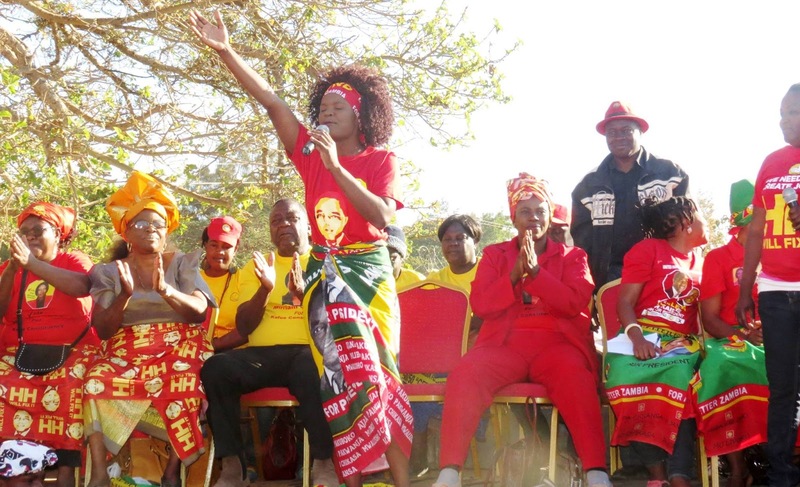 However, a month before she was to leave for the US, Buumba was informed that the opposition UPND had adopted her as its candidate for the Magoba ward election in the August 11 general elections. She decided to choose politics and withdrew from the fellowship. Her selection in the fellowship was on the basis of her community work and the recognition she has received over the years. The Mandela Washington Fellowship is not the only recognition she has received from a world leader. In June 2015, she was invited to Buckingham Palace in London by the British monarch Queen Elizabeth II as part of her Young Leaders Advisory Panel. 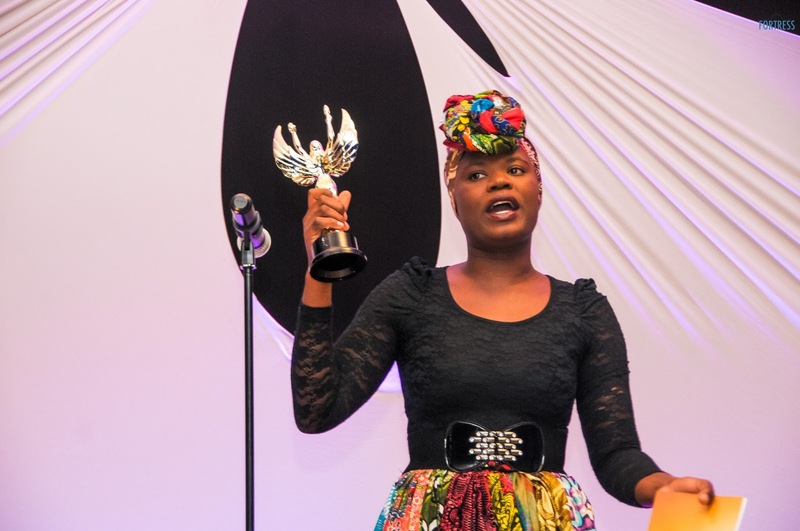 The following are some of the local and international awards she has won over the years: the first and youngest Zambian to win the Women4Africa Award (2015), Africa Arising Award (2015), Zambia Woman of the Year Award (2016), Mwape Peer Award (2015), the African International Achievers Award (2014), Zambia Woman of the Year (2016) and Voice of Youth Africa Award (2013). She also adds: “Due to my contribution to the Education sector in Zambia, I was selected to meet the President of Malta during the Commonwealth Youth Council meeting to seal the gap and make collaborations of youth activities between Zambia and Malta. I was also selected to represent the youths during the visit of International Labour Organisation Director General Guy Rider’s first ever visit t to Zambia"
Buumba is passionate about women, their well being and children. She runs Buumbalambo Foundation, an organisation which champions the rights of women and empowers school going children with clothes, schools books and beddings. 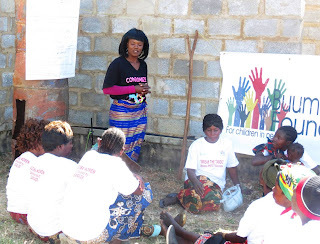 Mwana Apunzile sponsorship programme where people choose a child and support their education. Sewing a future project for young mothers where they sew and make crafts that are sold locally and internationally to help raise money for them to support their children’s education. Through the help of traditional leaders, Buumbalambo Foundation was given land to build a community school, a resource centre and develop a farm in Gelemiya Village where children walk several kilometres to the nearest school. The farm project which will assist in food production as some children in the areas she is working in die of hunger. Pop A Future project where young people are empowered with employment through skills, ICT and popcorn machines. 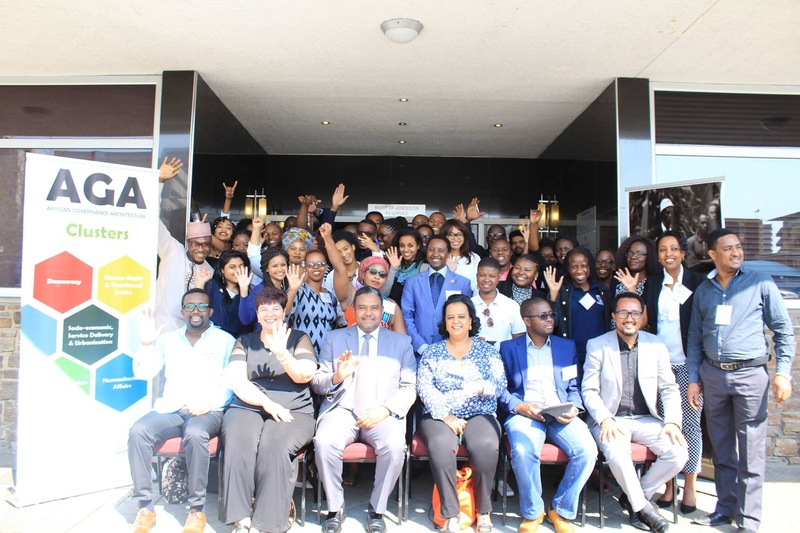 Buumba Foundation, with funding from SAFAIDS is running a four months project called BREAK THE TABOO aimed at curbing the rampant levels of deaths among children born with HIV. The project is training mothers in Prevention of Mother To Child Transmission (PMTCT) of HIV. She says when she realized that many women in the area had less or no knowledge on PMTCT and sometimes shun important health service because of local beliefs like taboos, she wrote a project proposal to SAfAIDS who gave her a grant to run the project. At 24, Buumba is a young politician. She entered politics at a tender age and seems to be inspired by several local female politicians. On her Facebook page, she has photos with several former Ministers like Dora Siliya, Sylvia Masebo, Professor Nkandu Luo and several others she has shared platforms with on issues of gender and children. 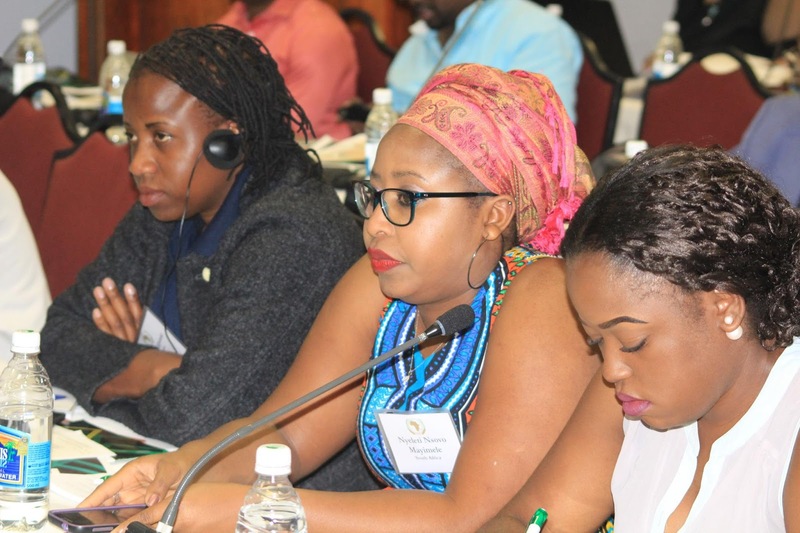 Earlier this year, Buumba travelled to Ghana to attend the African Young Women in Politics Conference which was held at the west African country’s House of Parliament. She describes the deliberations at the event as successful and inspiration. 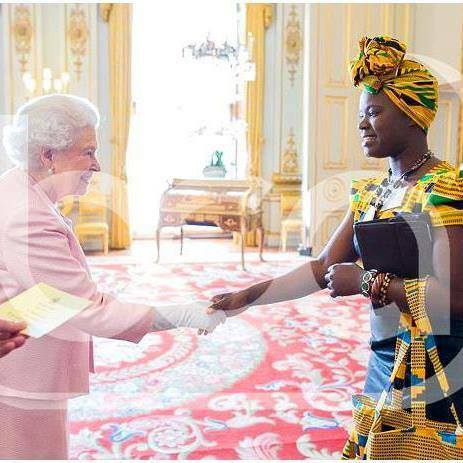 She also talks of her delight to have been given the honour to tour the Ghanaian Parliament. 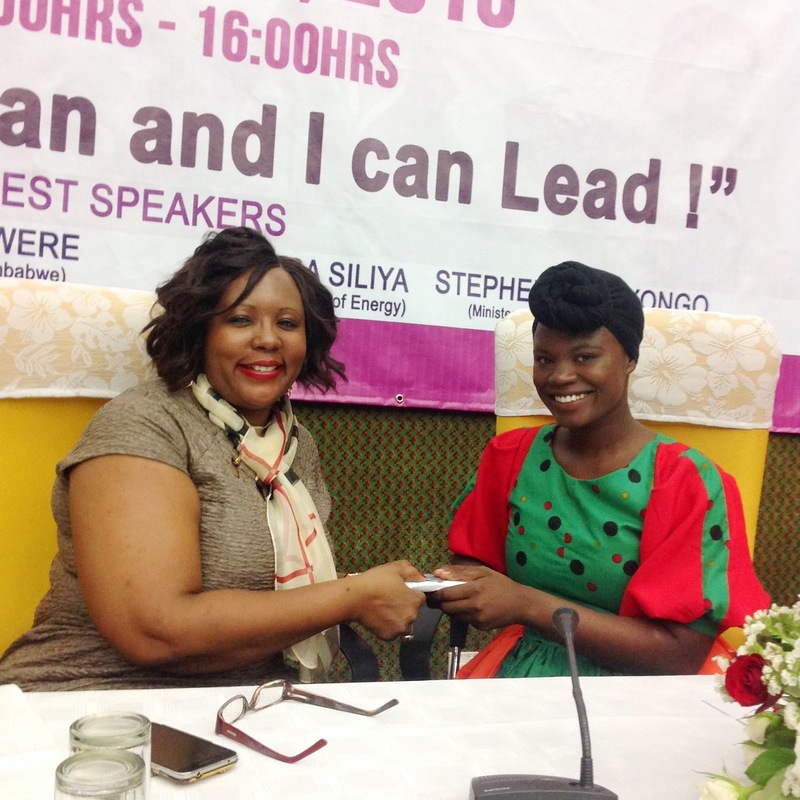 With her recent involvement in the general elections, Buumba seems to have gone through what other women face in politics. Writing on Facebook recently, she complained of the stereotypes that women in politics usually face. “I was not shocked when i was called a prostitute and all sorts of names……. From time in memorial, I have seen how women who have stepped up the ladder of leadership are victimised,” she said. Having realised that the campaigns ahead of the general elections divided her electorates, Buumba has now embarked on a mission to unite her ward. “These elections definitely brought a lot of pain and separated a lot of people and my community was not an exception. Today I held a reconciliation meeting with all the traditional, civic and other leaders in my ward as we prepare for a public meeting where I will address my people for the first time after elections. 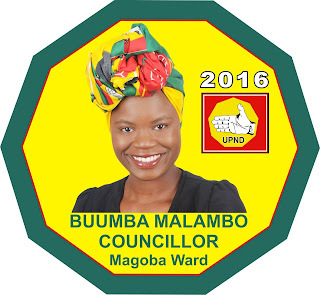 Her election as a Councillor for Magoba ward has not made Buumba relaxed, she is still aiming high. She has just announced her intention to challenge other elected councillors to contest as the Deputy Council Chairperson for Kafue District. Three other councillors have also expressed interest to contest the position. Buumba says women need to be represented in the Council and the fact that the Council Chairperson is a man will make it easy for her to campaign as a female candidate.